Size XSC: Chest: 26.77", Waist: 26.77", Arm Pit: 11.81", Shoulder: 9.06", Length: 14.96"
Size SC: Chest: 28.35", Waist: 28.35", Arm Pit: 11.81", Shoulder: 9.84", Length: 15.75"
Size MC: Chest: 29.92", Waist: 29.92", Arm Pit: 12.99", Shoulder: 10.63", Length: 17.13"
Size LC: Chest: 31.50", Waist: 31.50", Arm Pit: 14.17", Shoulder: 11.42", Length: 18.50"
I HEART TO CHEER Cheer T-Shirt is perfect for practice, camp, and more! This high quality cheer t-shirt will define your team's spirit and maintain cheerleading excellence. Design printed on front of cheer t-shirt. Quality Brand, 5.4 oz. 100% cotton. Unisex T-Shirt. SIZES (Width/Length/Sleeve Center Back) measured in Inches. YOUTH SIZES: XS or 2-4 (16/20.5/13.5), S or 6-8 (17/22/14.5), M or 10-12 (18/23.5/15.5), L or 14-16 (19/25/16.5). ADULT SIZES: S (18/28/15.63), M (20.29.17), L (22.30.18.5), XL (24/31/20), 2XL (26/32/21.5). 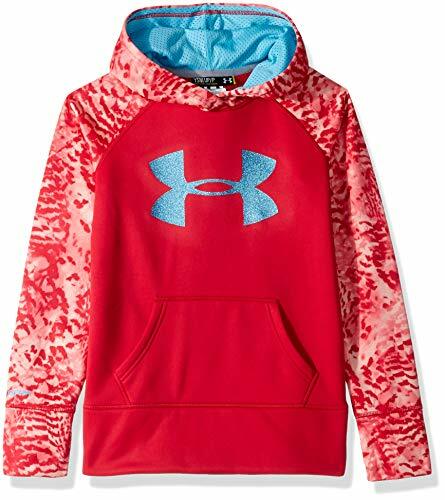 The Under Armour Girl's UA Big Logo Armour Fleece Hoodie is UA's original performance replacement for old-school sweatshirts: unbelievably light, but somehow keeps you really warm. If that wasn't enough, its stretchy, breathable & features UA Storm to keep off the rain & snow.Mesh-lined, 2-piece hood with crossover neck for enhanced comfort.Raglan sleeves unlock mobility for serious range of motion.Classic kangaroo pocket.Stylized big logo.Loose fit.Import. 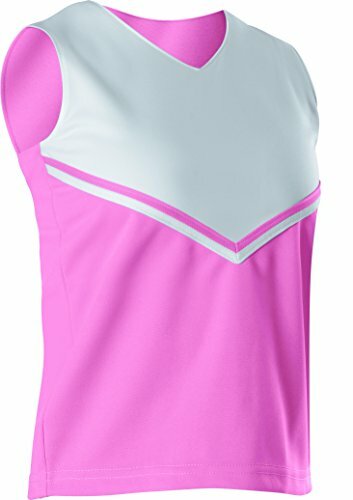 Alleson Athletic Youth Victory Cheer Shell 100 double knit 15 oz. polyester. Hemmed armholes, V neck and bottom. Contrast color upper body insert on front. Three strip, two color braid follows contour of V-Shaped front. Waist length cut. V-neck shell with contrasting front panel and solid straight back. Not available with custom braid options (stock shell only). 2color Braid on front "V" is always Body Color and White. Sizes: 2XS L. Colors (Body/Chest Panel): Scarlet/Black, Royal/White, Maroon/White, Black/Light Gold, Black/Orange, Black/White, Columbia Blue/White, Dark Green/White, Kelly/White, Light Gold/White, Navy/Light Gold, Navy/Scarlet, Navy/White, Orange/White, Pink/White, Purple/Light Gold, Purple/White, Royal/Scarlet, Scarlet/White. 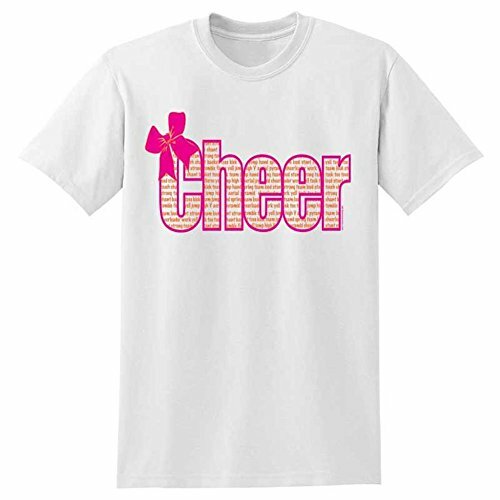 CHEER BOW Cheer T-Shirt is perfect for practice, camp, and more! This high quality cheer t-shirt will define your team's spirit and maintain cheerleading excellence. Design printed on front of cheer t-shirt. Quality Brand, 5.4 oz. 100% cotton. Unisex T-Shirt. SIZES (Width/Length/Sleeve Center Back) measured in Inches. YOUTH SIZES: XS or 2-4 (16/20.5/13.5), S or 6-8 (17/22/14.5), M or 10-12 (18/23.5/15.5), L or 14-16 (19/25/16.5). ADULT SIZES: S (18/28/15.63), M (20.29.17), L (22.30.18.5), XL (24/31/20), 2XL (26/32/21.5). 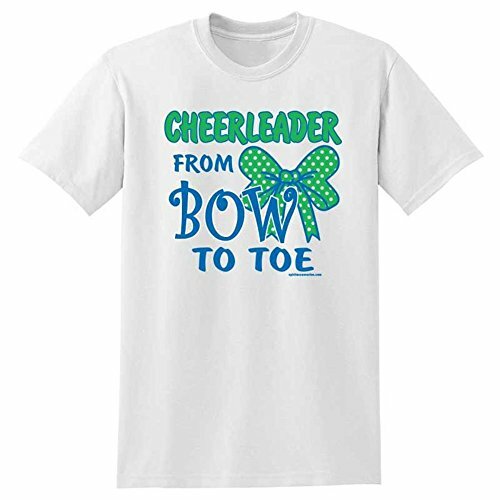 CHEERLEADER FROM BOW TO TOE Cheer T-Shirt is perfect for practice, camp, and more! This high quality cheer t-shirt will define your team's spirit and maintain cheerleading excellence. Design printed on front of cheer t-shirt. Quality Brand, 5.4 oz. 100% cotton. Unisex T-Shirt. SIZES (Width/Length/Sleeve Center Back) measured in Inches. YOUTH SIZES: XS or 2-4 (16/20.5/13.5), S or 6-8 (17/22/14.5), M or 10-12 (18/23.5/15.5), L or 14-16 (19/25/16.5). ADULT SIZES: S (18/28/15.63), M (20.29.17), L (22.30.18.5), XL (24/31/20), 2XL (26/32/21.5). Royal and Lime Soffe Shorts will go great with this design. Design printed on front of shirt. 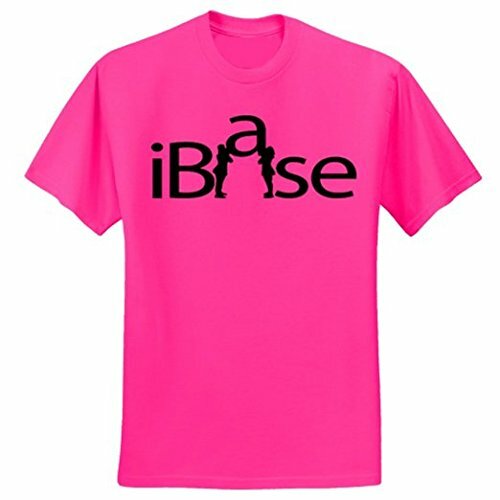 Hot Pink iBase T-Shirt-Black Print: Perfect for cheer camp, cheer practice or everyday wear! Features: Black front chest imprint Heavy weight 6.1 oz., 100% pre-shrunk cotton. Seamless double needle ribbed collar Double needle sleeve and bottom hems. 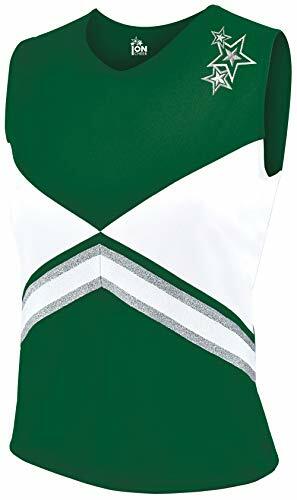 Perfect for cheer camp, cheer practice or everyday wear!